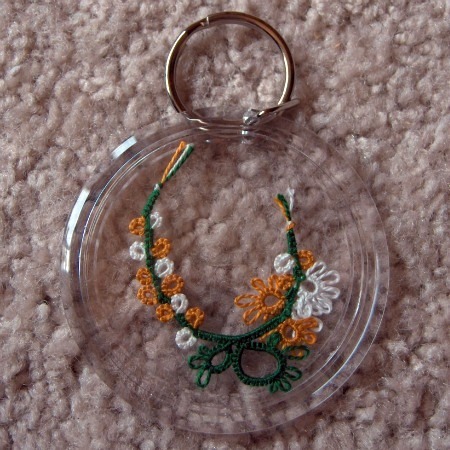 Here is week four–and the last–of our online tatting scavenger hunt. Are you up to the challenge? See what this week’s fun tasks include and join in! Here is week three of our online tatting scavenger hunt. Are you up to the challenge? See what this week’s fun tasks include and join in! Here is week two of our online tatting scavenger hunt. Are you up to the challenge? See what this week’s fun tasks include and join in! All work and no play makes this girl as cranky as Mother Hubbard after the gin ran out. So in the spirit of trying something new, and having good fun with friends, I’d like to propose an online tatting scavenger hunt. Are you ready for the challenge? A few updates and the winner of the guess-how-many-pins game. For your Thanksgiving leftovers, chew on this challenge. Here’s the beginning of a tiny of a turkey pattern. Can you make it more identifiable as a turkey? 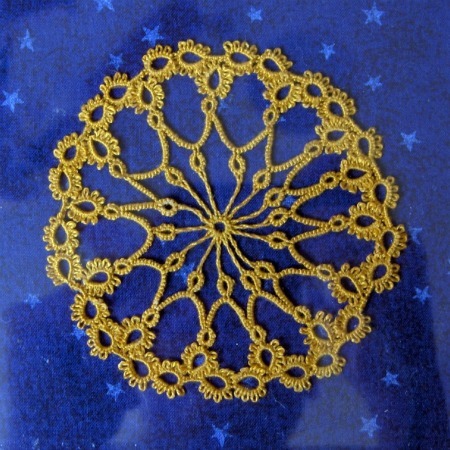 The InTatters forum hosted a “Challenge Yourself Exchange,” and I learned how to do frontside/backside tatting, and received a beautiful example of split rings.